LG Electronics announced this Monday that its new device, the PJ9 levitating speaker, will be presented formally at the 2017 CES. 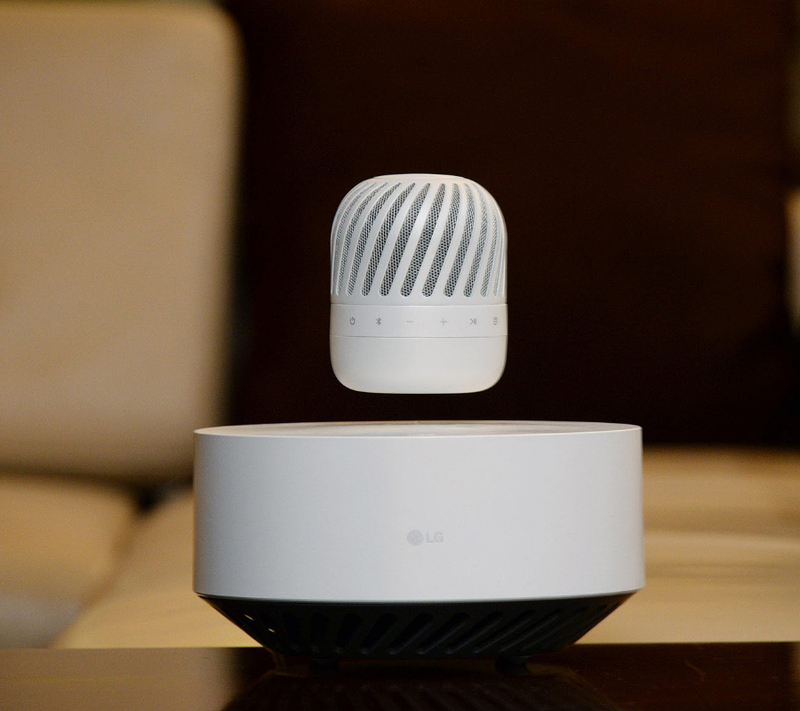 The new LG’s PJ9 levitating speaker wants to amaze the public in 2017. It has two principal features that, according to LG’s officials, would guarantee a commercial success in the tech market. The first feature it’s the design, which is very impressive as it is one of the first levitating functional devices ever presented. The second one is the audio performance, which the company assures is fantastic as it can be played both indoors and outdoors (it’s rated with IPX7 technology, ergo, water resistant). LG’s levitating PJ9 speaker. Image credit: LG. “The PJ9 wireless speaker is an exciting combination of audio design and innovation, offering the perfect balance between performance, beauty and versatility. This latest addition to our growing lineup of premium wireless audio devices will not only turn heads, but it makes the bold statement that LG is committed to exploring new concepts and pioneering innovative audio designs for consumers around the world,” said Tim Alessi, head of product marketing at LG Electronics in the United States. Using the latest technology, LG was capable of incorporating powerful electromagnets to the system that allow the speaker to perform a mid-air 10-hour flight, featuring an aerodynamic style. The speaker comes with a subwoofer that assures a deep bass sound along with the presence of a Dual Passive Radiator that improves the mid and high range tones for a better audio experience. Customers will never have to worry about the speaker running out of battery in the middle of a song. When the battery is running low, the speaker itself will descend to the Station and will charge within the surface until it can go up again. The presence and help of the listener are not necessary at any moment for the speaker to charge. The PJ9 also features Multipoint technology, in which two devices can be connected to the speaker via Bluetooth at the same time. LG is not innovating the levitation technology field at any level. However, the PJ9 seems like an aesthetic product that users could want to see in their homes. In the past, several levitating speakers were presented to the market with mixed acceptation. Back in 2014, Om Audio launched the very first levitating speaker for a prize of $189 and even started a crowdfunding campaign for pre-ordering. The battery lasted 15 hours, and the sound wasn’t bad (110db output from a 3-watt speaker), but it looked like a dark soccer ball and the market didn’t engage well with the product. Earlier this year was presented the Air2 (or AirSquared), and both the looks and the audio performance weren’t the best. It even was reviewed by The Verge as a trolling device more than an actual functional speaker. In August, a unique levitating speaker was introduced to the market as Richard Clarkson company made the Smart Cloud. This $3,000 speaker functions as a large speaker and as a stunning lamp simultaneously, all while it levitates with the Cleave electromagnetic technology. The LG PJ9 will be out in January, and it’s expected prize should be around $200.